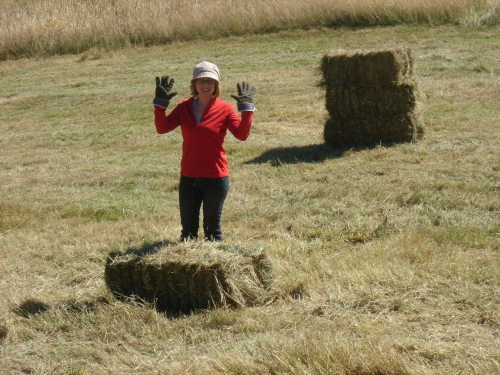 This was our first year cutting hay on the property so we had no idea what to expect. 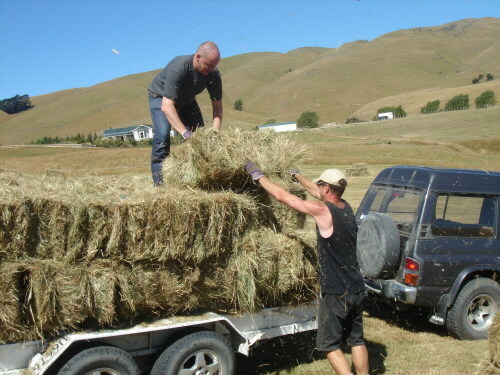 We were pleasantly surprised to find we had 500 bales from the two fairly small areas we cut. This turned out to be a pretty big job, but we had some great help from Nick, Louise (and Amy), Neil, Terrance and Greer over the two days. 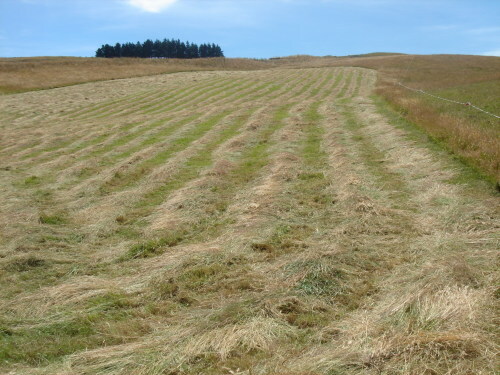 Here’s one paddock cut. 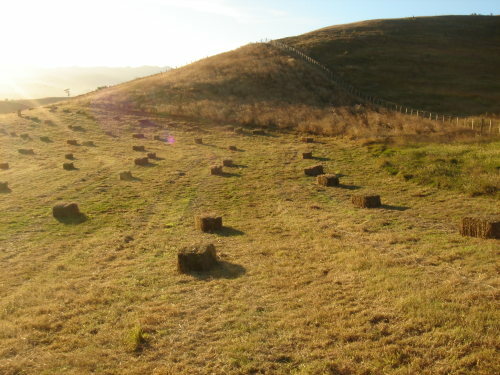 From down the valley, this oval paddock looked like a huge thumb print on the hill. 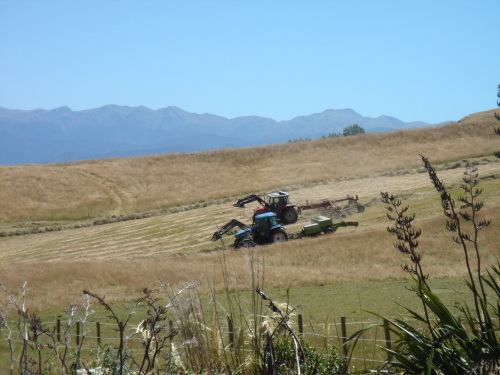 One tractor with huge spinning rakes went ahead of the bailer – it looks like they are racing here. Neil and Terrance, loading up.